Cue earworm! It’s a small, small world! It’s a world of laughter, a world of tears. It’s a world of hopes and a world of fears. There’s so much that we share, that it’s time you’re aware, it’s a small world after all. To celebrate the 45th anniversary of Disneyland’s “It’s a Small World” attraction, Disney Consumer Products and Nordstrom havelaunched a collection of children’s apparel, accessories and footwear inspired by the super-cute graphics of the “It’s a Small World” ride. And super-cute it is. There are plenty of mid-century illustrations based on Disney artist Mary Blair’s original design for the ride, which was created for the 1964 New York World’s Fair to honor of the United Nations Children’s Fund (otherwise known as UNICEF). After the World’s Fair, Disney shipped the exhibit to the then-only Disneyland park in Anaheim, Calif., where it debuted in 1966. 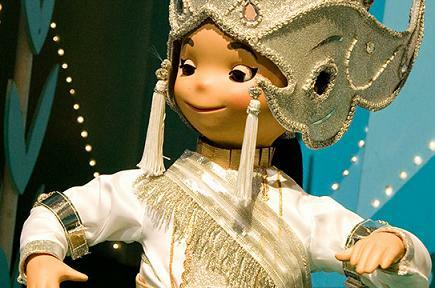 Today, all Disney theme parks feature an “It’s a Small World” attraction. And the cute keeps coming. Each delivery of the Small World collection will represent a different country, for example, the “Japanese Spring” delivery hit stores on Feb 28. Next up is “Indian Summer” in June, “Scottish Fall” in September and “Russian Holiday” in November. Nordstrom worked with a range of apparel, accessories and footwear makers including Petunia Pickle Bottom, TOMS Shoes, FEED Projects, Trumpette, Baby Nay and Mighty Fine to create the It’s a Small World collection. Nordstrom, Disney, TOMS Shoes and FEED Projects have also teamed up to add a philanthropic component to the Small World collection. TOMS Shoes will donate a pair of new shoes to a child in need. 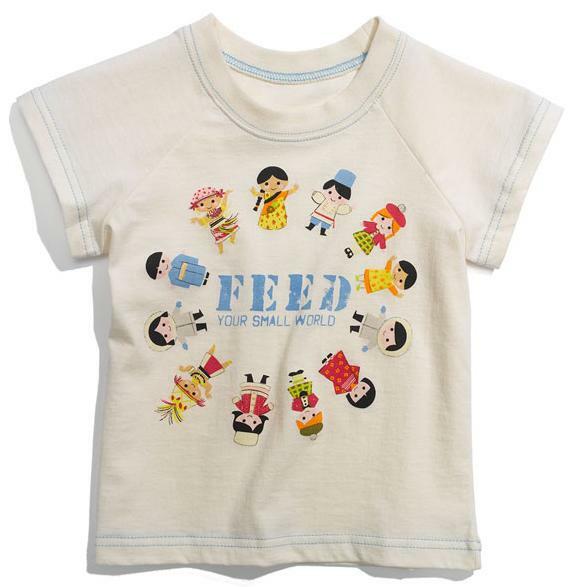 Sales of the FEED Projects Small World items will benefit UNICEF, to support the organization’s program to provide vitamin supplements to children in need. FEED Projects Co-Founder and Chief Executive Officer Lauren Bush will also be on hand for a in-store promote for the Small World collection at the Nordstrom store at The Grove in Los Angeles on March 16. Customers can take home a piece of Blair’s artwork as well—while supplies last. Nordstrom will give away limited-edition lithographs of Blair’s artwork with any purchase from the Small World line (one-per-customer, while supplies last, natch). And there will be in-store Disney character artists drawing throughout March at several Nordstrom stores around the country. Details are available here. If you’ve read this far and you STILL don’t have the “It’s a Small World” song playing on a continuous loop in your head, click here.